1995 Oklahoma Bombing: "Multiple Bombs Removed Inside"
Local OKC News Reports: "Multiple bombs removed from inside the Murrah Building"
This event is one of the rare events in history (like the JFK assassination, or 9/11) that presents, with overwhelmingly conclusive evidence, the opportunity for people to discover the extreme nature of the evil forces that control our government and society. The bombing of the Murrah Federal Building in Oklahoma City on April 19, 1995 was a false flag attack and black operation carried out by criminal elements controlling and within the US Government. 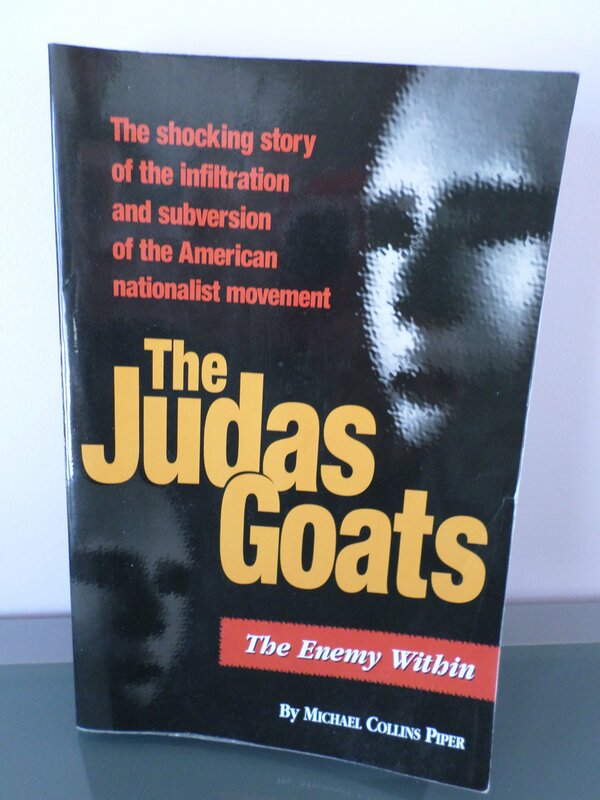 The main purposes of this operation were the following: 1) the pretext for "anti-terrorist" and other legislation granting the government vast new "police state" powers (increasing the funding, size, and power of agencies like the ATF, FBI, etc), and 2) the demonization and attempted destruction of the modern right-wing "militia movement"
1) Local news channels and press around Oklahoma City reported on the fact that multiple unexploded bombs were diffused and removed from the Murrah Building after the bombing. Local reporters, the US Justice Department, and even Oklahoma Governor Frank Keating all initially confirmed (on the day of the bombing) the fact that unexploded devices were diffused and removed from inside the building. This information was subsequently hushed up by the national media, and has since been buried. 2) The damage to the Murrah Building could not have been caused by an ANFO bomb on the street, per the official story. The Murrah Building was destroyed by bombs placed inside the building. Only bombs placed on the structural columns could have partially collapsed the building as it did, not an ANFO bomb located across the street. Furthermore, blast debris was blown out and away from the building, not into it, as would occur with a truck bomb located on the street. This was proven in a report by explosives expert Brigadier General Benton K. Partin, USAF (Ret.) 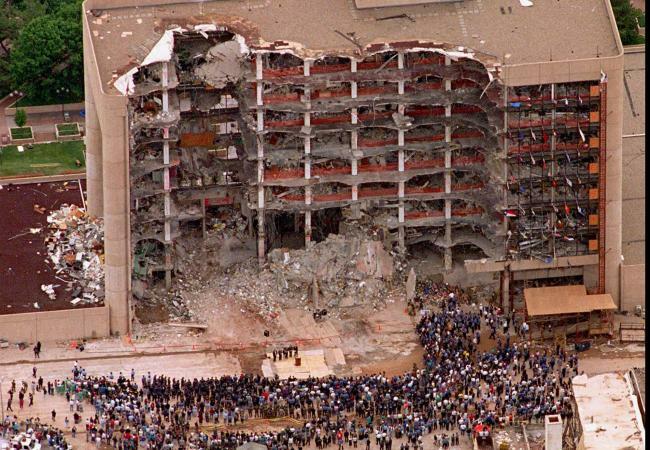 in 1995.
in Oklahoma City, the BATF, which had offices in the Murrah Building, had prior knowledge that the bombing would occur. They had vacated their offices in the building on the morning of the bombing. 5) Timothy McVeigh was a patsy, who was a Government operative, likely in military black ops. Re: 1995 Oklahoma Bombing: "Multiple Bombs Removed Inside"
"Mossad arranged Oklahoma bombing" "Work of experts"
This image has been resized. Click this bar to view the full image. The original image is sized 1920x2560. I did not put this under "Conspiracies" because that's exactly where the Jew media would love to see it!. The reason why I have gone back to this 1995 incident is for two reasons. 1) 9-11 planned since then by the Mossad and 2) THE MEDIA IN THE CORNER OF THE WORLD I WAS IN AT THE TIME, NEVER TOLD US THE FACTS! I was led to believe that an individual named Timothy McVeigh (a White supremacist) was to blame. That was a deep state act, Mossad was only the instrument employed. The treason and corruption within the intelligence agencies is mind blowing. They must be torn down, burned and pissed on. The FBI was the bastards who done it.